A true test of golf, Royal Birkdale was founded in 1889 and on eight occasions has played host to the most famous championship of them all, The Open. 18 holes, 72 par, 6690 yards. Links. Founded in 1889, the Royal Birkdale Golf Club really needs no introduction. Measuring 6,690-yards, this par-72 course has been host to The Open Championship on eight occasions. 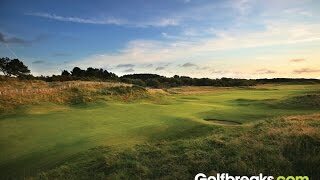 Always a challenge, particularly when it’s windy, the Royal Birkdale Golf Club is a must for all aspiring golfers. A round on the Royal Birkdale will not disappoint and remain in your memory for years to come as one of your most enjoyable rounds, no matter how you play. Royal Birkdale is always a challenging course, particularly when coastal winds are in full force. If you hit the fairways then you are in for a good round, but anything off of the fairways can land you in serious trouble. For any keen golfer, this is a must play and the perfect fit for a vacation to England’s famous golf coast. At Royal Birkdale smart dress is essential and regular golfing attire is required.